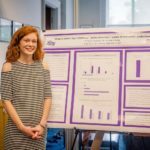 The High Point University Undergraduate Research and Creative Works Program is committed to encouraging and supporting high quality undergraduate research and creative projects. To that end, the University has made funds available to support student and faculty mentor travel to present research or creative work, participate in competitions or performances, and to support work in progress. 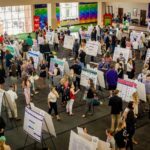 Students and faculty are encouraged to apply for funding to support travel to give oral or poster presentations on research or creative works, attend a competition where they will perform or present creative works, and for students to attend conferences as an observer that will help them gain new skills or information needed for doing undergraduate research. Small awards are available to support student research projects by providing seed money needed for the project or creative work, or to support any other legitimate purpose that encourages undergraduate research or creative works in their area. Please visit HERE to access all of the necessary forms that must be submitted with each of the above awards applications.